Our Service Commitment Talyst is committed to our customers, and dedicated to delivering the highest level of satisfaction in the implementation of our products. 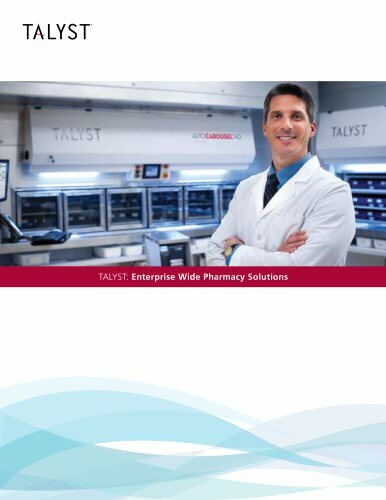 Talyst, the pharmacy automation technology expert, is your partner. We work with you to create the right solution for your health system. For more information, please call 1.877.4.TALYST x1 © 2013 Talyst, Inc. All rights reserved. Talyst, AutoPharm, AutoPack, AutoCarousel, AutoVault, AutoCool, and AutoLabel are either registered trademarks or trademarks in the United States and/or other countries.